Of all the modern Imagineers, Joe Rohde is the most famous. This is partly because he is the creative force behind Animal Kingdom, Aulani, and Guardians of the Galaxy Mission Breakout. But mostly it is because of the Joe Rohde earrings. 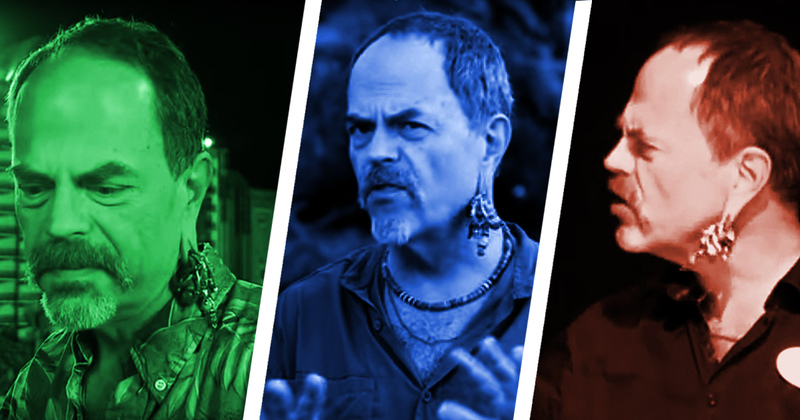 With his outlandishly stretched earlobe, crusty handlebar mustache, and a forehead as high as Mount Everest, Joe Rohde is the antithesis of the Disney Look. Yet the man is beloved. His Instagram account has nearly 20,000 followers. Twitter about the same. And even customs officials have been known to recognize him upon his return from the exciting third world adventures that seem to take up most of his life. Joe Rohde is the living embodiment of his own Adventurer’s Club. The hearty explorer bringing distant cultures home for all of us to enjoy. We’re not the first to note Joe Rohde’s unconventional approach to theme parks — though we were the first to catch him dunking a baby in a dinosaur pool. But for a man who makes his living behind the scenes, Joe Rohde has no problem popping up right in the middle of an attraction so you can bask in all his glory. Like storied movie star Martin Short, Joe Rohde has appeared in far more rides than you might realize. Is it enough for him to claim the crown as the greatest theme park star of all time? Whose Star is Brighter — The King of Pop or Imagineer Joe Rohde? The facial transformations of Michael Jackson are well-documented. But perhaps — just perhaps — they provided the inspiration to a young Joe Rohde, who like MJ looked like a pretty normal fella back in the Eighties. Joe Rohde was just another Imagineer at the time of Captain EO’s debut in 1986. He had not yet acquired the distended earlobe that would later make him famous. Which is perhaps why almost no one recognized him when he appeared in the Captain EO pre-show video. Joe is seen early in the film (starting at 2:32) — along with several other Imagineers sketching out concepts for the George Lucas space fantasy. That pre-show was really just a teaser for the main film, highlighting all the talented folks it takes to make the greatest 3-D movie ever. But only one of those talented individuals would go on to design Disney’s largest theme park. Though he gets his very own close-up — handlebar mustache ready to take you to lost corners of space — the appearance is brief. The Tower of Terror in the American Waterfront at Tokyo DisneySea was the first version of the ride to jettison the Twilight Zone theme for something different. This incarnation of the classic free-fall horror story focuses instead on an eccentric explorer pillaging the remote regions of the planet in search of relics of antiquity. Harrison Hightower may have brought back the cursed idol that launches the attraction’s narrative, but it’s the imposing visage of the man himself that we find so intriguing. 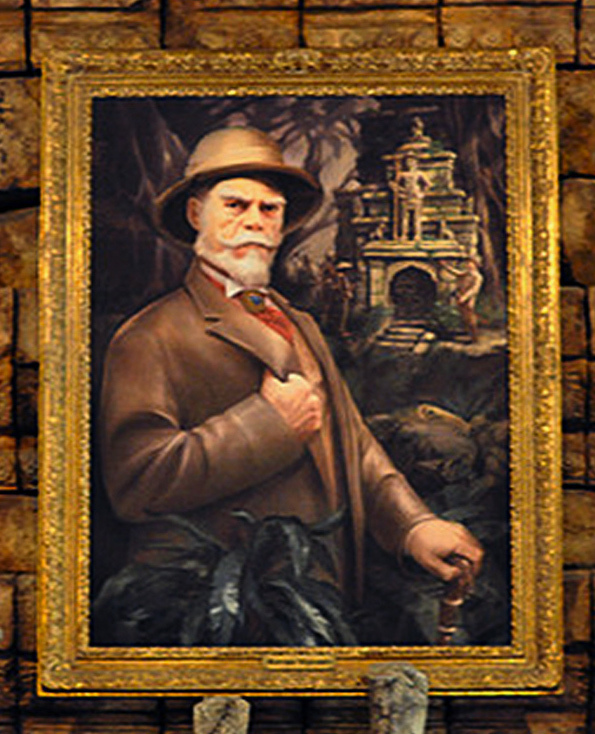 His portrait over the lobby fireplace shows that he owes a lot to that handlebar mustachioed rogue, Joe Rohde. Left earlobe conveniently out of frame. Several more renderings of Hightower can be found throughout the Tower grounds, each bearing a certain resemblance to the creator of Animal Kingdom. Harrison Hightower’s beard may be white and his earlobes of normal length, but there’s no mistaking those furrowed eyebrows, that proud chin, that propensity for baby dunking. As a member of the Society of Explorers and Adventurers (S.E.A. 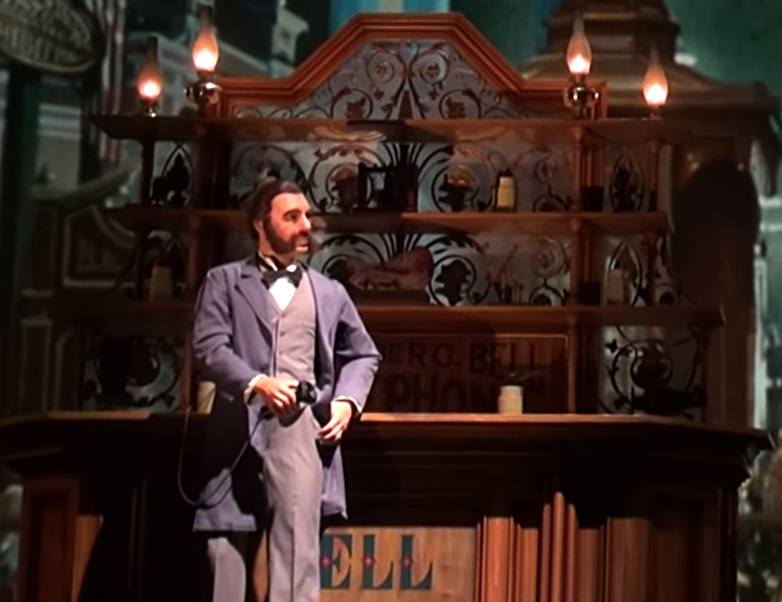 ), Harrison Hightower even makes a cameo appearance in Hong Kong Disneyland’s Mystic Manor — proving that when it comes to world travel, Joe Rohde is king above us all. By the year 2017, Joe Rohde had assumed the elder statesman role of Walt Disney Imagineering. As befits a gentleman of distinction, he no longer feels compelled to hang paintings of himself over majestically themed fireplaces. However, that did not stop him from autographing one of the greatest rides in Walt Disney World history with his own handprint. The Avatar Flight of Passage queue is perhaps the most detailed lead-ins to an attraction ever. We’ve chronicled several of the most insane examples before. And yet it’s a simple little flourish in the attraction’s exit that may hold the most importance. At least as far as Joe Rohde is concerned. As you leave the banshees, you exit through a standard underground corridor. There you will encounter three handprints on the wall, mimicking those seen in the Na’vi caves in the queue. These are the only handprints with initials. The palms themselves are distinctly human. It’s no coincidence whose handprint is highest. JC is James Cameron, director of Avatar. JL is Jon Landau, the producer. And JR is a certain Imagineer with a fondness for earrings. No one expects to find fragile Disney Imagineers on an unhabitable Himalayan mountaintop, but Joe Rohde is no mere Imagineer. When the design team needed inspiration for their abominable snow creature, they settled on their boss. The actual Yeti figure in the ride is not an exact match. 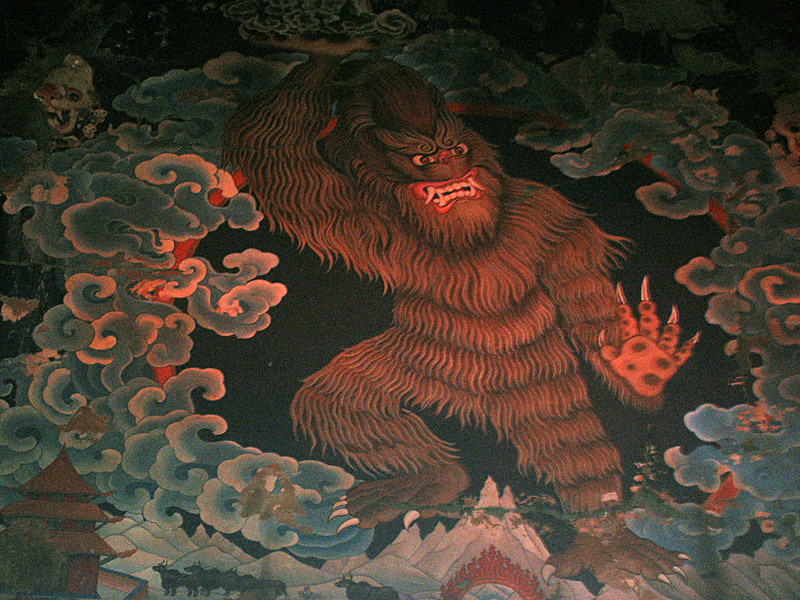 But the mural of the Yeti — seen in the mountain shrine during the initial ascent, as well as in the Yeti museum in the queue — clearly takes its cue from someone with a high forehead, arching eyebrows, curled mustache, and sheer physical dominance. No word on whether the Yeti Kitty was inspired by Joe Rohde’s childhood pet. 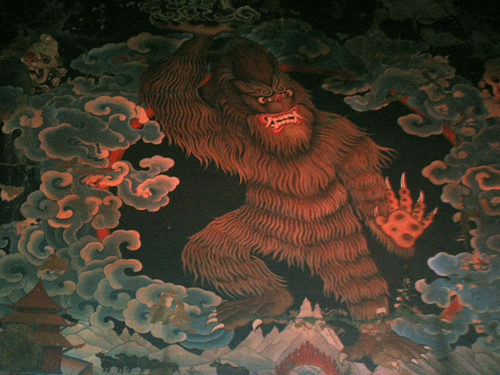 Note the somehow prescient disco moves of this Yeti rendering. Normally, I leave the horrible puns in The American Adventure to the eminently-punchable Ben Franklin. When I need bravery, I look to Chief Joseph. And for sheer erudite manliness, I turn to Famed Naturalist John Muir. But it turns out there is someone who embodies all of these characteristics at once. Though his distinctive face does not appear in the attraction, his imitation of a Scottish burr is on full display. That’s because Alexander Graham Bell — inventor of the telephone and the first device to “ring” in your “ear,” get it?? — is none other than Joseph Ignatius Rohde. The American Adventure was one of Rohde’s first projects with Imagineering. Apparently they just couldn’t find the right voice to portray one of history’s greatest figures. That is, until they looked across the room and beheld the awesome impressatorial stylings of Joe Rohde. So when Bell heralds his invention as the “true hallmark of progress,” you can rest assured that he is also talking about himself. 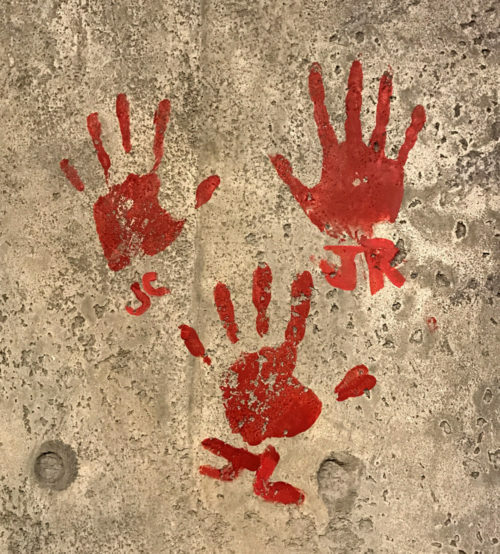 This entry was posted in Disney Theme Park Hidden Secrets and tagged Adventurer's Club, American Adventure, Avatar Flight of Passage, Captain EO, Expedition Everest, Tokyo Disney Sea, Twilight Zone Tower of Terror. Bookmark the permalink. Fascinating stuff– I never would have guessed about American Adventure. Maybe one day Animal Kingdom will sell a pretzel in the shape of Rhode’s ear to honor this weird dreamer. The American Adventure reference is my personal favorite. I would love to see Joe re-enact that scene today. 1. He’s the voice of the bearded merchant in Spaceship Earth in the Phonecians scene. Joe Rohde is so awesome, I can’t even post anything about his awesomeness without some of it getting left out!